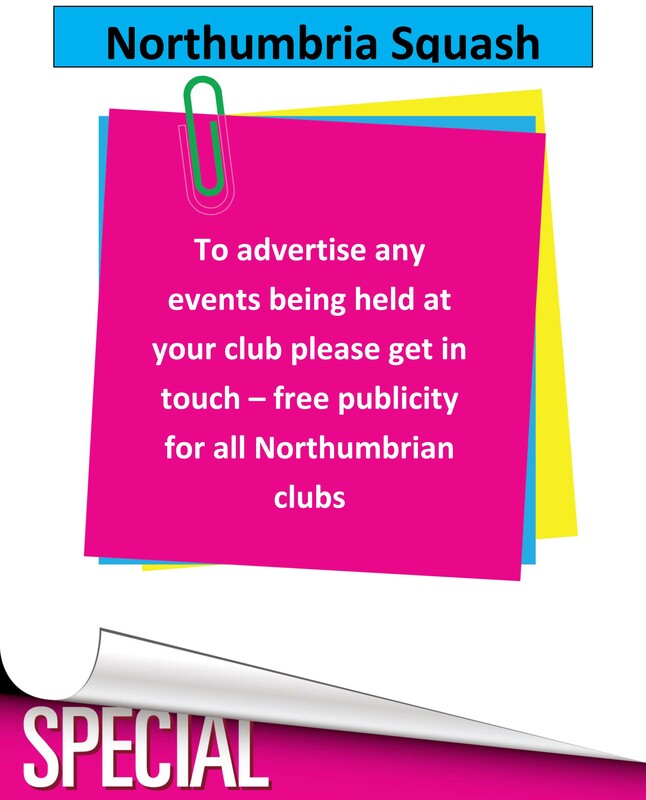 NEVER mind the poor souls who have to play two football matches in a week – two players at the Northumbria Junior Squash County Championships played two matches within an HOUR. Northern’s Andrew Shipley lost 3-0 to Northumberland Club’s Max Forster in the final of the Boys U17s event. Then he dusted himself down, had a quick breather and got ready for the final of the Boys U19’s against… Max Forster. Shipley has had a superb season and lived up to his second seed billing in both competitions. However, Forster – already a regular in the Northumbria Men’s Premier League – is currently a class apart at junior level in the region; his consistency and all-round game was too much and he won 3-0 again to record an impressive and notable double. 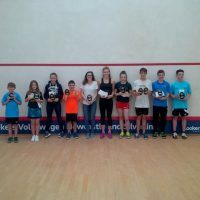 There were 13 age group events at the junior County Closed over the weekend of September 23rd and 24th, in the event supported again by long-term sponsors DB Glaziers. 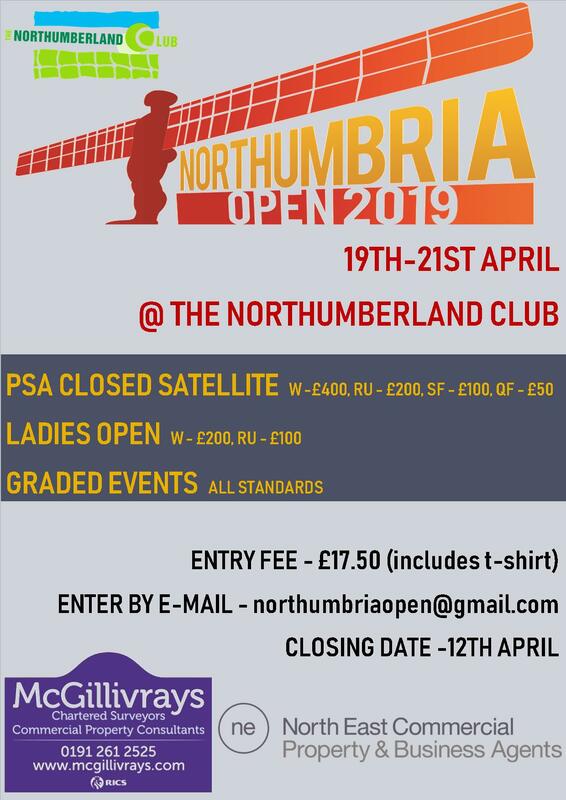 And Jesmond’s Northumberland club was once again packed to rafters with competitors and spectators alike, proving that the sport is thriving at junior level in the region. Northern’s Josie Barker justified her No 1 seeding to retain the Girls U19 crown – seeing off a twin threat (literally) from Amy and Emma Rowell. Barker plays a quick and physical game, taking the ball early, and she proved too strong for the attacking Rowell sisters, coming out on top of the round robin league after two 3-0 wins. Amy won three close games against sibling Emma to lift the runners-up trophy. Home favourite Lowri Waugh clinched a five-set thriller in the final of the Girls U17 event. Waugh reached the showpiece match without dropping a game, while her opponent Megan Evans had beaten Abigail Bedford and Harriet Wight (both 3-0). The athletic Waugh raced into a 2-0 lead, but Evans slowed the game down and started to boss the ’T’, picking off volleyed winners to level at 2-2. In a nail-biting fifth, the momentum ebbed and flowed before Waugh did just enough to defend her title with a hard-fought 3-2 win. The Thompson twins are always near the top of the North East squash charts. This time, in the Boys U15 final, it was John’s turn to be King for a Day [one for the 80’s pop fans there], as he clinched a 3-2 thriller against Matthew. John went 2-1 up only for Matthew to fight back; but the former kept his nerve to close out a tight fifth game at 11-9. The final of the Girls U15s was an all-Northern affair, and a ‘Katie derby’ to boot, with Merlane seeing off Barker 3-1 in a close match. The new champion had seen off Beth Dean 3-1 in her semi-final, with Barker hitting top gear to beat Naomi Appleby 3-0. It looked like a case of Cruz-control for Tynemouth’s Lewis Cruz in the Boys U13s – and he DID win the trophy without dropping a game. However, Alnwick’s James Taylor, the runner-up who himself reached the final with two 3-0 wins, made him work hard in the final. Annabelle Satow kept the Hexham flag flying with an impressive 3-0 victory over Northern’s Evie Paterson in the Girls U13 final. Annabelle took the title back along the Tyne Valley without dropping a game. Northern’s all-action Sam Ponente lifted the Boys U11 title to justify his one-seed billing. His first county title came after a strong 3-0 win in the final over Ethan Brown – who himself had grabbed a bit of scalp in the semi, beating second seed and fellow Tynemouth player Tom Watts. In the round-robin Girls U11 event, the crucial match and effective final was always going to be No 1 seed Shae Paterson against second seed Sian Tuck. Left-hander Shae, from Northern, won three close games to take the title despite a strong challenge from Sian of Northumberland Club. Last but not least, the Mixed U9 trophy went to Northern’s Leo Blackett, who finished top of a bumper 8-player field; Leo finished just ahead of club-mate Wil Ponente.